It looks like the six-inch-heel-plus-platform trend of the 2000s could have been the last gasp of the killer heel with shoe retailer Deichmann saying that British women have turned against heels in general and now also prefer traditional flat shoe styles such as brogues rather than anything with a high heel. The company said that 36% of women said they would “always opt for a trainer on a romantic date”, well ahead of the 25% who said they would wear a high heel. 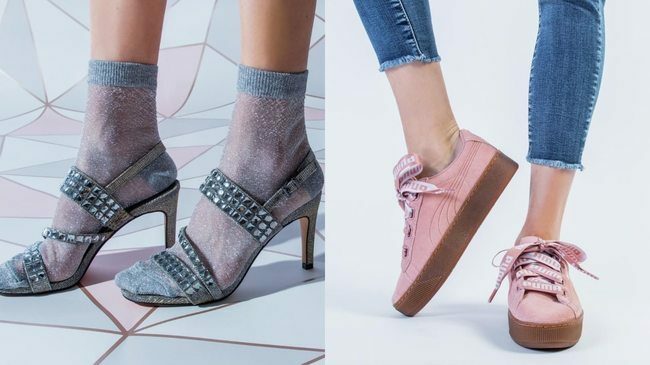 And while it’s assumed that men like women in heels, 44% said trainers are the shoes women should wear on a first date, with 20% opting for a brogue. In fact, only 30% of the men polled felt that a woman should wear a high heel on a date. The survey of almost 2,000 British adults also showed each adult owns 14 pairs of shoes, with women owning an average of 18 pairs and men owning 10. And the results also saw men and women agreeing on the biggest footwear faux pas to wear on a date with a sock/sandal combo first, followed by scuffed shoes and dirty trainers.